The Dear Fiance and I recently moved, and at least half the reason I wanted this house was because it has a writer's studio in the back yard. 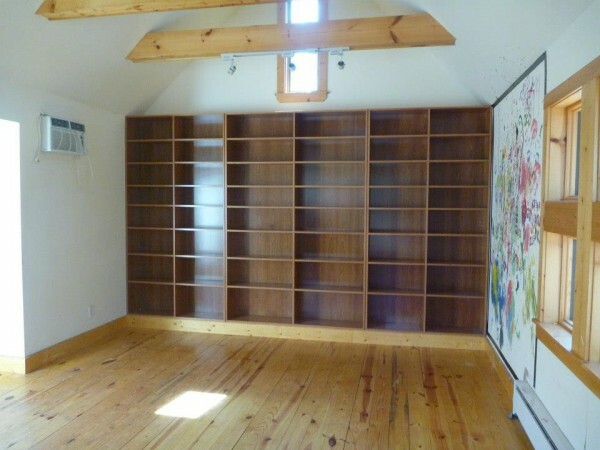 The back wall is LINED WITH BOOKSHELVES! I immediately claimed it as my future PERSONAL LIBRARY. It needs a lot of work--cleaning and re-painting--before I can unpack my books and organize everything, but the end result should be fantastic. I'm very excited.